An electric reciprocating saw is to a jigsaw as a chainsaw is to a circular saw. Neither a recip saw nor a chainsaw is used for finishing work. They are both designed for making a quick cutting job that does not have to be pretty. Like a jigsaw, a recip saw can be used to cut curves on lumber ends or in thinner sheet goods, but the jigsaw with its short, narrow blade is more suited for that task. A reciprocating saw’s blade is longer, thicker and wider. It is made to remove material quickly and to a greater depth when necessary. Most recip saws have large motors and sturdy shells that almost invite abuse. Many DIYers or engineers think they will never need that kind of power until they try one. Then their mind is racing to find new uses within their long list of projects. The 6519-31 Sawzall delivers outstanding cutting power at up to 3000 SPM, a 1-1/8″ blade stroke and 12 amps of electrical power. Milwaukie’s patented QUIK-LOK blade clamping is a quick and easy system for fast blade exchange. A counterweight design achieves smooth, vibration-reduced operation that means less wear on the operator. It has been ergonomically designed for comfort on even the toughest material. This is the kit version, which includes the saw and carrying case, but no extra blades. 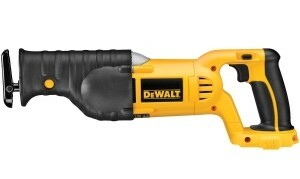 Apparently, this model is their answer to the likes of the DeWalt DW304PK, but it falls short. 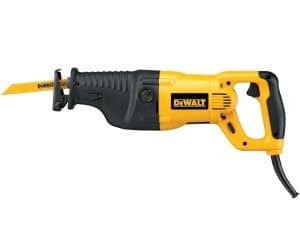 Not only is it somewhat more expensive than the DeWalt, but it also lacks a few features although it does have more motor power. The biggest complaint is the non-adjustable shoe, which is an issue if you want the leverage and control the shoe provides but cut at various depths. There is no speed control dial, which means you need a steady trigger finger for jobs that do not require full SPMs. 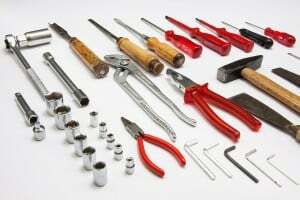 Aimed at the home workshop or diligent DIYer, but a bit more expensive than other vendors for the same or fewer features. 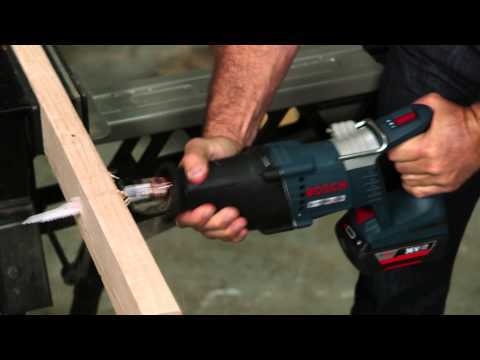 The Bosch RS428 is made to tackle any cutting job from wood to plastic to steel to ceramic. With a 14 amp motor and 8-pound weight its power-weight ratio is best in class. With a 1-1/8″ stroke, 2900 SPM, constant speed electronics, and constant orbital action, it is powerful and efficient. Of course, it has keyless blade changes and adjustable shoe to adapt to any job. It also features an anti-vibration system that allows for long work sessions without operator fatigue. The RS4298 is proof that Bosch listens to its customers who owned its predecessor the RS320. Lighter and more powerful, its cutting power is impressive. Far and away, however, is the allure of its superior anti-vibration system. That is a huge plus for construction workers or DIYers tackling a lengthy job. The experience is enhanced by the electronically controlled constant speed feature, which does not let the saw bog down as the load increases. 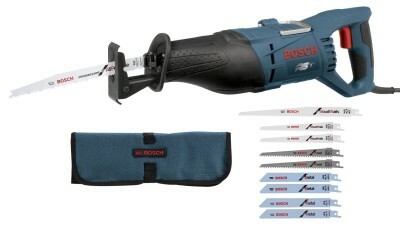 The only puzzling thing is why Bosch chooses to ship this saw with a carrying bag and not a solid case. A saw this good deserves better. For a mid-range recip saw, this one is hard to beat. It crosses the border between the serious DIYer and a pro saw. The JR3070CT’s 15 AMP motor means maximum power for the toughest cutting tasks. It cuts faster thanks to a 1 1/2in. stroke, electronic speed compensation, and a maximum 2800 SPM. A variable speed limit lets you match the speed to the job. A blade clutch protects the gear assembly if a blade binds, which greatly improves tool life. Makita has included its unique anti-vibration technology in this saw to cut fatigue-inducing vibration by half. DIYers might be put off by the weight and power of this saw. It is designed to cut through anything and quickly including thick steel and wood beams. Makita claims their AVT – anti-vibration technology – is derived from seismic engineering principles. That sounds a little over the top, but the saw is nearly vibration free, which adds to the impression that it packs a lot of power. The nearly 10 lb. weight detracts a bit from that, especially in overhead work. Its raw power and almost vibration free operation are impressive as is the sturdy metal case. For the average DIY homeowner, it is a saw for a lifetime. The DeWalt DW311K features a strong 13 amp motor that handles most heavy duty sawing jobs. Switching on orbital action speeds up wood cuts. No tools are needed to adjust the shoe length or to change blades. It features a variable speed limit and up to 2,700 SPM. Coupled with a 1-1/8″ stroke length, it quickly cuts through wood, pipe, conduit, metal tubing, and nails. At just under nine pounds and with a comfortable, anti-slip handle, it is easy to control. DeWalt prides itself on making quality tools, and this one is backed by a 3-year limited warranty. Tool Weight under 9.0 lbs. With 13 amps of power and the correct blade, there is probably no material that this saw cannot handle. It can tackle even cast iron and masonry. It has the basic features you expect from a modern electric reciprocating saw, but no more. It is aimed at the DIYer who wants a no-excuses tool. The lack of an anti-vibration system can leave your hands tingling, and though the blade clamp is solid, it is bare and knurled. That means it is clumsy to make blade changes with gloves, but it can be too hot without them. Excellent few-frills saw for the DIY handyperson who takes their work seriously. The RS7’s hefty 11 amp motor provides plenty of power for cutting through almost any material including plywood, cement board, roofing, dimensional lumber, and metal. Its 8.5 lbs. is easy to handle for overhead work and the open toe shoe along with LED lighting makes following a cut line far easier than other saws in its class. Tool-less blade changes are quick. The soft handle and variable speed trigger provide excellent comfort and control. The kit comes with a set of 10-blades to cover most materials. 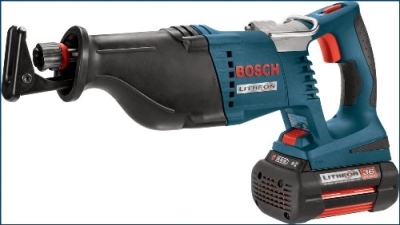 We all know that Bosch makes quality tools that last a lifetime. In that regard, the RS7 is probably no slouch, but it leaves something to desire in terms of features especially considering its price tag around $200. Most saws in this class have a speed limit control, a sturdy case, gear clutch, anti-vibration system or multi-position blade clamp, but none of those appear with this saw. It does come with a nice 10-blade package, but that seems inadequate compensation for the missing features. 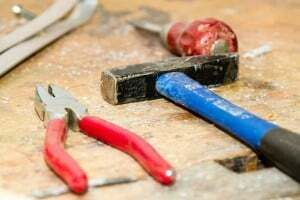 Unless you are a real Bosch fan, and who could blame you, there is probably better value in other mid-range offerings for the DIYer or remodeler. The CR13VBY is a 12-Amp saw with all the power and necessary features for slicing through any job including demo, construction, plumbing, HVAC and finish work. Its 1-1/4″ stroke is longer than other saws reviewed here. Coupled with its 3,000 SPM, it makes quick work through any material. Hitachi has come up with a variation of orbital motion called “swing mode” that results in less blade rebound while adding efficiency to wood cutting. Hitachi’s patented UVP, User Vibration Protection, system reduces vibration transfer to the operator by up to 65 percent. Blade changing is a one-hand operation, and the shoe can be adjusted with the push of a button. The CR13VBY weighs in at 9.7 lbs. and carries Hitachi’s standard 5-year warranty. Tool Weight Under 9.7 lbs. 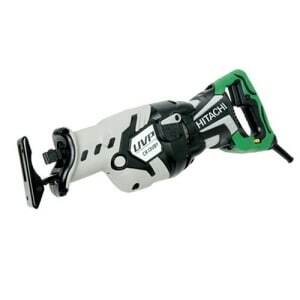 As Hitachi owners have come to expect, this saw does not skimp on design or features. It has most high-end recip saw bells and whistles such as high SPMs, variable speed limit and trigger and plenty of power. The UVP works well. The blade change system and push-button shoe adjustment are worthwhile time savers. Its nearly 10 lbs. might be uncomfortable for some DIYers or part-time remodelers. It is priced right at the mid-range for this class of saw. Quality, strong tool that includes all necessary features plus a little more. Worth the additional cost. Since its first release, the 15.0 amp super Sawzall has proved itself as a durable, powerful and fast reciprocating saw. It was ahead of its time with constant speed electronics and a patented gear assembly clutch to protect the saw if a blade binds. The internal counterbalance mechanism reduces user vibration significantly. As always, it is built to work with plenty of power and a long stroke length that allows it to cut through iron, pipe and even thick steel plate. Milwaukie backs it all up with a 5-year warranty. Tool Weight Under 9.8 lbs. The Milwaukee 6538-21 is probably about due for an upgrade, but it is still well ahead of other newer saws in terms of features and raw power. It lacks a rotatable handle, which you might expect at a price point over $200, but long-time users are not complaining. Considering its 15-amp power, its weight at just under 10 lbs. is admirable. Consider it a “cross-over” saw suitable for serious DIYers and construction workers. Its power and durability is almost unmatched in its class but it is not a saw for the casual user. This cordless reciprocating saw is just as aggressive as its corded counterparts. It boasts a long 1-1/8″ stroke length and 3,000 SPM for fast cutting. Its lever-action tool-less blade clamp, variable speed trigger, adjustable shoe and comfortable grip are on par with corded electric reciprocating saws. Its compact profile and 4-position blade clamp set it apart from most of its corded cousins. Its convenience and portability make it an excellent work companion for tearing out kitchens, slicing up pipe and ductwork, cutting out wall openings or trimming sheathing. You can choose from any DeWalt 18V battery to power it. To look at the top line specs of SPM and stroke length, you might think this is a corded tool. It cannot put out the total power of, say, a 10 amp AC saw, but its easy handling makes up for that on most jobs. The 4-position blade clamp is a real plus at this price. With an XRP battery, total weight is 8.4 lbs. A 15-minute charger with two batteries means you can work this saw for hours straight. An excellent entry-level cordless saw that performs. You will love the portability. 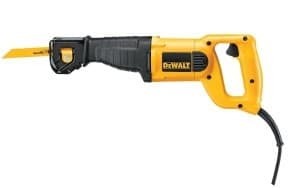 Commercial contractors, remodelers, electricians, and plumbers can appreciate the superior power of this cordless saw and its 1-1/8″ stroke as it cuts through nails, wood, and heavy pipe without straining itself or its operator. Plus, it has twice the running time of 18V competitors. Its 36V FatPack offers the most power and longest runtime, or you can shave off a pound by using a 36V SlimPack battery. Either recharge in just an hour. It features two variable-speed ranges of 0-2400 SPM and 0-3000 SPM to match the material being cut. An ergonomic comfort grip, open-toe shoe, single-hand blade clamp and rafter hook complete this saw’s convenience features. This saw might just be the best cordless reciprocating saw available. The price reflects that, but you have to admit that you get what you pay for with this tool. The cutting speed, power, and stroke length match the best corded saws. Granted, with the battery its weight is the same or more than high amp corded saws, but the convenience of cordless mitigates that. Only having a two-stage speed limit control is a drawback if you need to use this tool on a wide variety of materials. Other than that, it is hard to find fault with this tool. 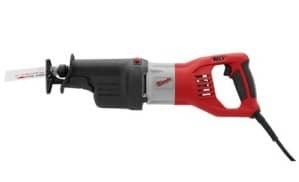 Especially if you need cordless, this might be the best reciprocating saw for the money. If you appreciate quality, need lots of power, portability and can afford the price, this is a great buy. The DW304PK’s 10 amp motor is strong enough for bigger jobs. A variable-speed trigger, orbital motion and a 1-1/8″ stroke at 2800 SPM make for an accurate and quick cut on most material. Keyless blade changes are accomplished with an easy lever action clamp. The 4-position blade clamp allows positioning the saw for flush cutting in any situation. 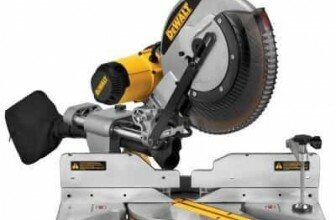 If you are looking for a lighter weight or backup recip saw, the DeWalt DW304PK may be the ticket. It is the lightest of the tools in this set of reciprocating saw reviews at only 7 lbs., which makes it a comfortable choice for ladder and overhead work. For the heaviest jobs, it might be somewhat underpowered, and the lack of a speed limit control might be a showstopper for some. All construction trades utilize reciprocating saws for notching joists, studs, and rafters when installing ductwork, tubing, and wires. 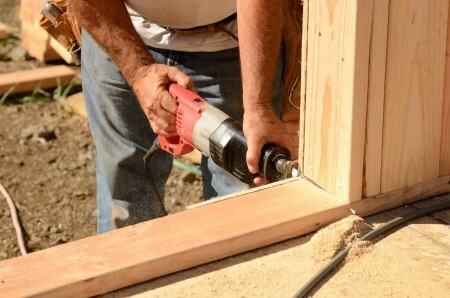 The best saws have multi-position blade clamps that further facilitate this work. In most of these cases, a general purpose blade can slice through almost any material. When specialty blades are required, most saws have a one-hand blade release that makes blade exchange a snap. Crank – The shaft is connected to one side of a rotating shaft. Scotch Yoke – A short arm attached to a rotating shaft moves within a vertical slot. Swashplate – A disc is mounted at a slight angle to a rotating axle. Shafts mounted at a right angle on the disc move back and forth as the disc rotates. Eccentric – The reciprocating shaft is attached at an offset to the side of a circular disc whose axle is the motor shaft. As the axle disc rotates, a reciprocating motion is created. Most modern reciprocating saws utilize a form of the eccentric technique. Except for the swashplate method, all of these translations require balancing components to offset their inherent vibration. Additional vibration damping may be incorporated into the best reciprocating saws, which increases operator comfort. The biggest danger with reciprocating saws is bucking or blade binding. Be very aware of this, especially if working from a ladder. To avoid these problems, be sure the blade will not hit material behind the cut when the shoe is against the material to cut. If it bottoms out, adjust the shoe or use a shorter blade. Always stop the tool before withdrawing from a cut to prevent kickback against the cut material. If you do not know what is behind a covering material, such as drywall, it is unsafe to use a full-length blade because you may damage plumbing or wires. To avoid this, extend the saw blade to maximum depth and use metal shears to cut the blade shorter. The length of the blade protruding from the shoe should equal the thickness of the wall material. Now, you are free to cut the wall without damaging anything including the studs. If a regular reciprocating saw blade is too thick for a particular application, put a regular hacksaw blade into service. One end of the blade already has a hole, so you need only grind or snip out a notch to match the notch in a regular blade. Snip the hacksaw blade to the length you need, and you are good to go. When shopping for a reciprocating saw, the fundamental types are corded or cordless. Each has its place in your tool stock with its own pros and cons. Neither type is superior to the other, so most handymen have one of each. 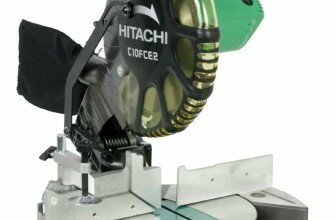 The reciprocating saw reviews are divided into corded and cordless models. As reciprocating saws have evolved since Milwaukie came out with their Sawzall® in the 1950s, many new features have appeared to add functionality and increase comfort. 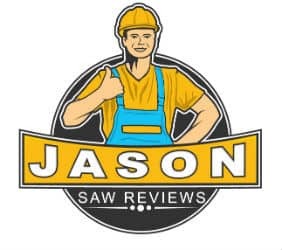 This guide discusses the designs and features that go into the best reciprocating saws followed by a Top Ten list of reciprocating saws along with reviews from our experts. When you need maximum, unstoppable power, a corded saw is your best choice. These sport up to 15 amps of cutting power and the best ones are tough enough to work continuously throughout the day. Their main disadvantage is having to supply a source of continuous AC power from either a mains outlet or a generator. The cord or extensions cords can create difficulties in awkward spaces and, of course, you need to take care not to cut it! There are many models of powerful cordless reciprocating saws, though none quite match the peak horsepower of top-of-the-line corded saws. Obviously, these eliminate the need for outlets or generators with the exception of the battery recharging unit. Most weigh about the same or are lighter than their corded counterparts. Thus, they may be more comfortable to use especially in overhead work or awkward, cramped positions. They excel at cutting lighter materials. Regardless of whether a saw is corded or cordless, they all have a number of features that increase operator comfort and the utility of the saw. You have to judge which features are most important to you and your style of work and balance these against the tool cost. If you are a frequent user of the tool, cost should not be the primary decision driver, however. Given that even the best reciprocating saws are usually under $300, over the life of the tool a saw that can do it all is well worth the extra cost. A well-designed carrying case – Most cases are plastic. The weak spot in these is usually the hinges. Once they break, you have to strap it closed. Tool-less blade clamp – Even if attached to the cord or in a slot on the tool, clamp tools are easily misplaced. 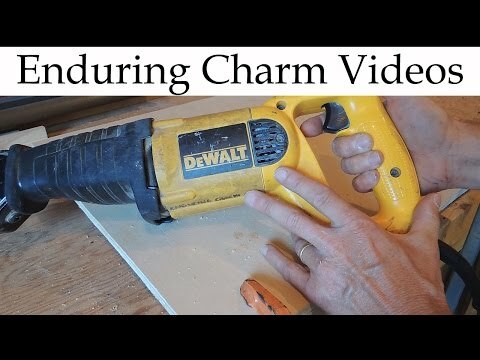 Tool-less clamps are both a time and aggravation saver. Variable speed trigger – Different materials require different blade speeds, so this feature is a must-have. Speed control – This allows you to set the maximum stroke speed, which is important to matching saw performance to particular materials. It is extremely handy if you are making a number of repetitive cuts. Electronic speed compensation – Regardless of the load on the blade, this feature maintains a constant blade speed. Blade clutch – This protects the motor and gear assembly if the blade locks up. Orbital motion control – Especially for coarse materials, such as plywood and dimensional lumber, adding orbital movement to the standard back and forth motion makes cuts go faster. Flexible blade positioning – Many recip saws allow placing a blade in a downward or upward position. The best reciprocating saws allow left and right blade placement also. Rotating handle – For especially tight or awkward positions, being able to rotate the handle so you can achieve better alignment with the material being cut is a real convenience. Metal housing – A metal housing dissipates heat better than plastic. Auto-stop brushes – Found mainly on cordless saws, these increase safety by stopping the blade instantly when power is cut. These also kick in when it is time to change the brushes. Blade depth adjustment – Blade depth is controlled on a coarse basis by using blades of different lengths. Many saws also have adjustable shoes to control cut depth. Only a few allow changing the stroke depth. Anti-vibration system – The best reciprocating saws use advanced designs to separate motor and blade vibration from the saw body and handle. These reduce vibration by half or more. The result is less operator fatigue. Open toe shoe – Most blade shoes are closed, but ones with an open side where the teeth meet the cutting material increase cut accuracy. Cut zone lighting – A few models combine an open toe shoe with LED guide lights that further increase the visibility of the cut line. In addition to noting advanced features, assess the general look, feel and heft of a saw. Ask yourself if it appears to be designed and assembled to withstand rough knocks or being dropped. Is the shoe rugged or made of thin metal or plastic? Is the grip comfortable when wearing thick work gloves? Hold the saw in different positions to evaluate whether it feels well-balanced. Why do some saws have orbital motion? Orbital motion means the saw blade lifts a tiny bit on the return stroke. On coarse materials such as wood, this clears the kerf of debris, which makes the cutting action more efficient. What is the difference between variable speed control and variable speed limit? Variable speed control refers to the tool’s trigger mechanism. As you squeeze the trigger, the blade speeds up. The variable speed limit is a switch with 2 or more discrete positions to limit the maximum speed even when the trigger is fully retracted. Why should I not use the fastest speed all the time for quick cuts? A high stroke speed is not a good idea on thin materials such as sheet metal as the slightest blade bind will deform the material. If you are making a plunge cut, a slow speed is needed to safely start the cut until you break through to the other side. For thicker metals, a slow speed avoids blade overheating. Why is an adjustable shoe important? To make a controlled cut, you need solid leverage. Holding the shoe against the material provides such leverage. Since materials are of differing thicknesses and there may be obstructions behind the material, an adjustable shoe allows you to compensate for those while keeping firm control over the tool. I want to buy an 18V tool only and already have 20V batteries. Can I use those? First of all, they are unlikely to fit, but if they did the higher voltage would damage the saw’s electronics. Can I charge the Li-Ion batteries that came with my new saw using my old Ni-Cd charger of the same brand? Even if the new batteries fit your old charger, you cannot mix battery technology types like that without damaging either the battery or the charger. I’m worried about how long the battery will last under heavy use. What can you tell me? 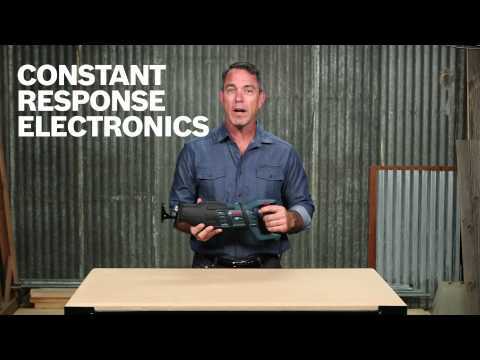 With a cordless saw, there are many variables that affect battery life. The first is the amp-hour rating of the battery. Purchase the highest amp-hour rating available. A worn blade, the force required for the cut, and the type of material can all reduce battery life if a great deal of pressure is required. Always use a sturdy pair of gloves that provide a good grip. Additionally, shatter-proof goggles and ear plugs or covers are necessary to protect sight and hearing. There are general purpose blades that will saw nearly anything from wood to nails. However, having a variety of blades makes your saw more useful. Blades come in different lengths from 6 inches to 12 inches so you can cut thinner material or reach into deep recesses. Choose the cutting edge of the blade according to the work being done. If you are cutting dimensional lumber or doing a general tear-out, fewer, coarser teeth are what you need. Finer-toothed blades make a cleaner cut, and the finest teeth are used on metal or other thin material such as fiberglass. The teeth on bi-metal blades are much harder than the spring steel shafts to which they are bonded. They cost a little more but last longer. Keeping a firm grip on the saw is necessary for good control, which will make a cleaner cut and help avoid “kickback.” If you keep the shoe on the cut material, this greatly reduces vibration and makes a faster cut. Most saws allow placing the blade either teeth up or teeth down. Thinking ahead about which orientation would work best may save you some headaches. Some saws allow horizontal blade placement, which provides more options for tricky cuts.